The animated joy in her text was palpable. I smiled and then found myself transported back to the prairie, living amongst ripened fields, wind-blown chaff, smells of dusty grain, and the sounds of combines, trucks and tractors rumbling around our farm from early in the morning until past dusk. Growing up, I never considered another way to living. 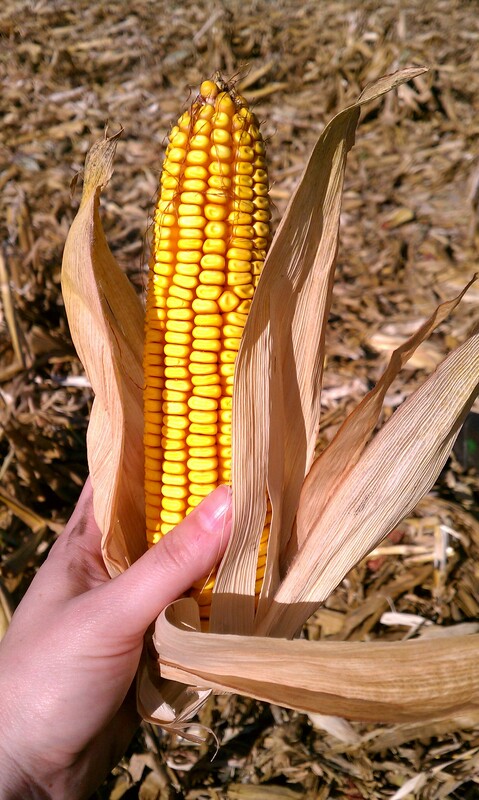 My days were marked by the seasons of the farm—planting, hay baling, harvest, and hog tending. 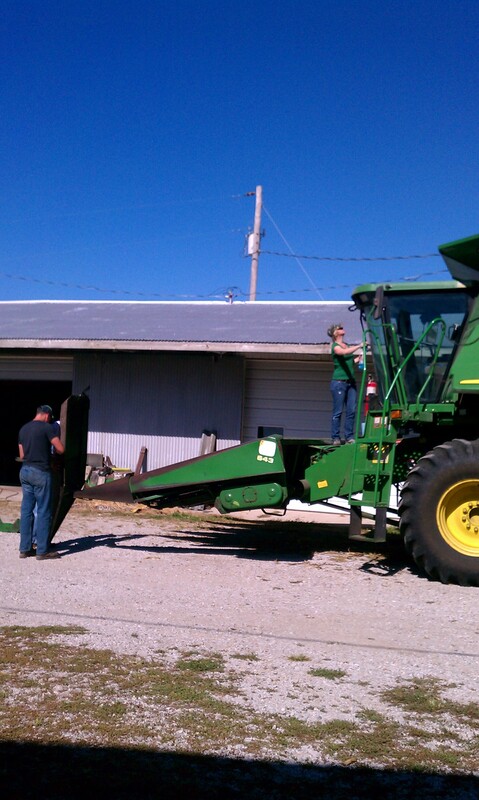 During harvest season, I would sometimes help my mother take a lunch out to “the guys” (my father, grandfather, uncle, and eventually, brother). We would all sit on the back of one of our old Chevy pick-ups or under the occasional tree, eating our sandwiches and homemade chocolate chip cookies. 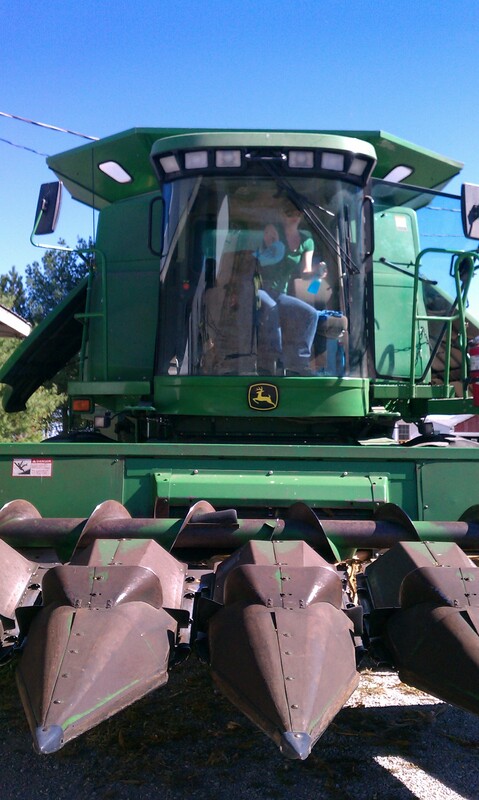 After lunch, I would occasionally stay with my father and ride in the combine with him, mesmerized by the crops being swallowed into the combine’s giant head—the big, sharp-toothed one for corn, the paddle-wheel, pitchfork looking one for wheat and soybeans. It never got boring; staring from the high, safe, domed-window, dusty cabin. I remember imagining the combine was alive with its huge chomping mouth, eating everything in its path—woe to the small animal or bird not fast enough to escape. 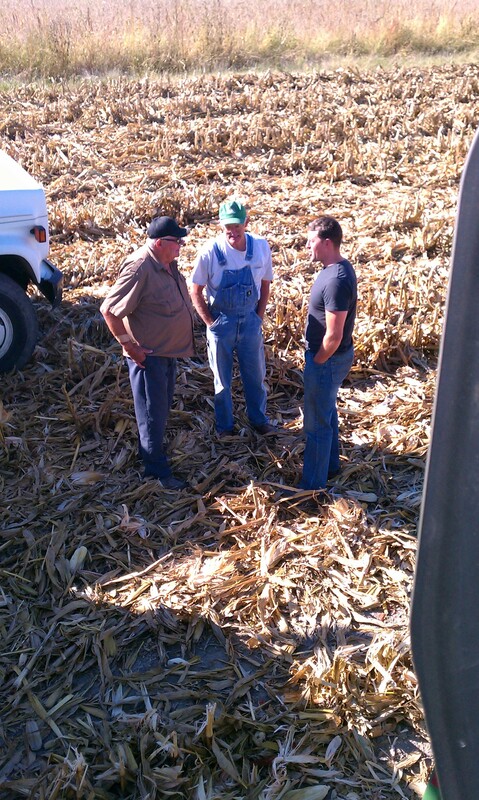 Sometimes Dad and I would chat or he would explain what was actually happening to the grains being harvested. I tried to understand, but the magic of the massive eating machine and its complete annihilation of the field it was eating, overwhelmed any lesson of farm machinery my father tried to instill. It wasn’t until I was grown and away from my farm seasoned life that I realized most people marked seasons by an actual day on the calendar, holidays, or–more personal to my current existence–sports. 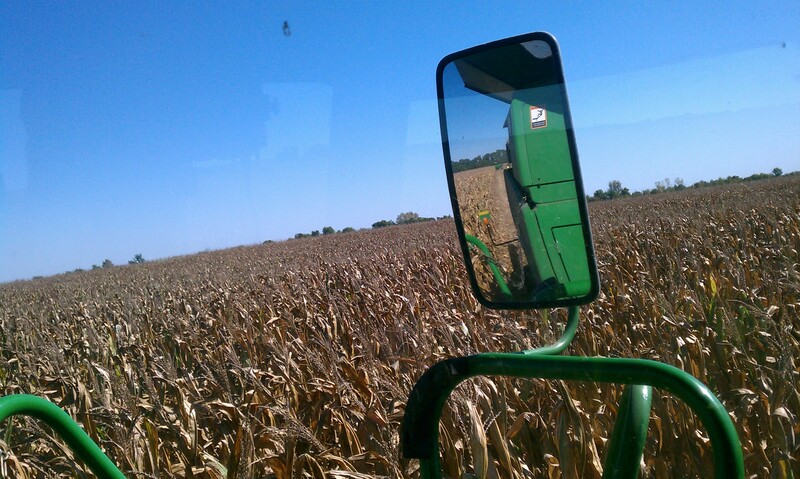 Sadly, over the years of living without a view of corn fields or combines, my seasons have turned a more pop-culture corner as well. Fall has become about football, carving pumpkins, colorful mums, and the gourds from my CSA (Community Supported Agriculture) box I have no idea how to use other than on display in a pretty bowl. These things are beautiful and good and certainly a part of harvest. But that’s just it—they are the things of harvest; not the people of harvest. 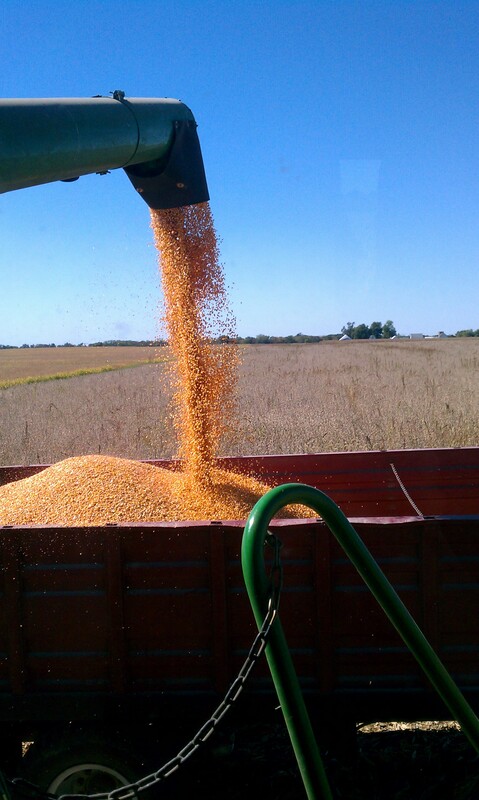 The vast majority of Americans look upon the things of harvest and think this is what harvest season is all about. But harvest is about people: those who clear the ground, till the soil, plant the seed, wait patiently while the weather either cooperates or not, then harvest their fruit (or grain) in due season. Harvest is about a farmer and his family eating lunches together in the back of a pick-up, chewing blown chaff dust with their sandwich, and eating late suppers so they can all eat together. 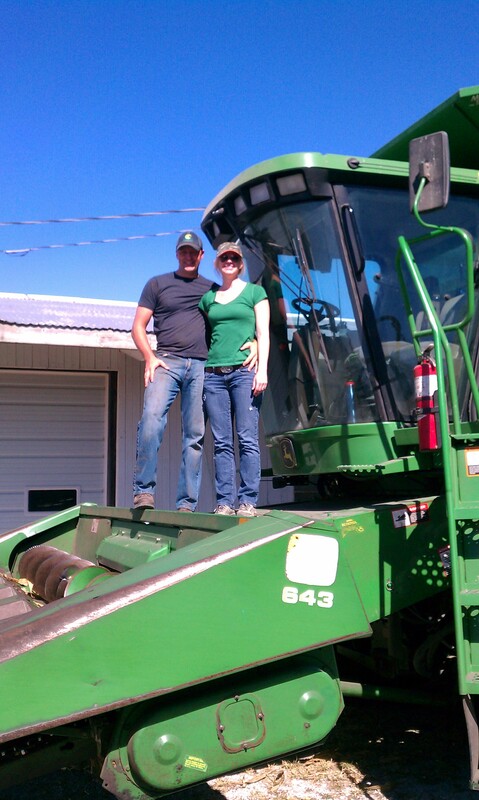 It is about the farmer and his wife, trying to navigate marriage and oneness amongst the stresses of broken equipment, obstinate weather, and falling market prices making it nearly impossible to cover farm costs, let alone family costs. 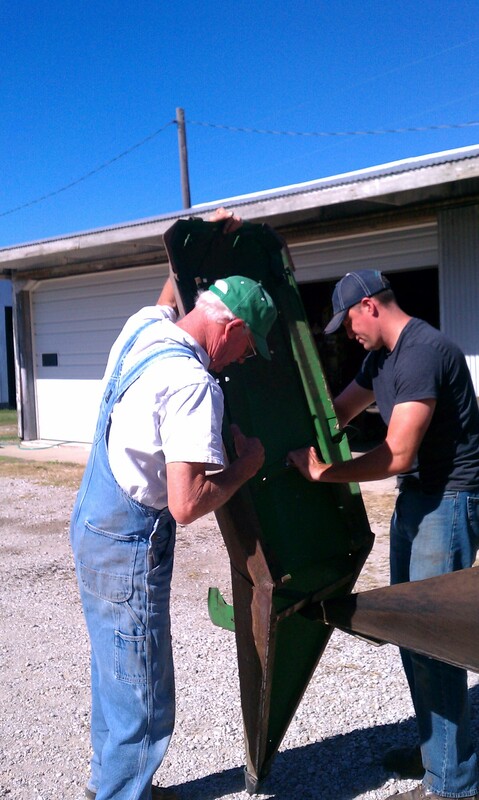 It is about a retiring father navigating the transition of generational farming; passing his farm and his knowledge (sometimes asked for, sometimes not) onto the son, who is receiving three generations worth of land, equipment, and wisdom. 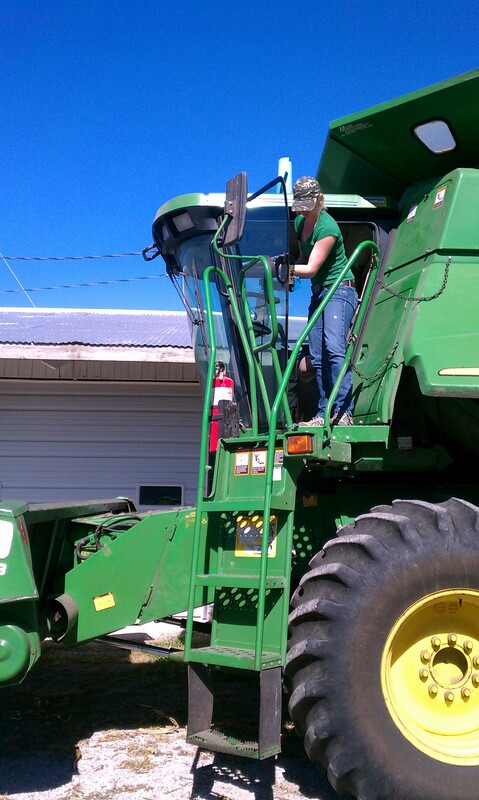 And on Sunday, it was about a new farm wife, joy unhinged at the first day of harvest, eager to experience her first combine ride.